Ichih Wang is a Yoga Teacher, and a Yoga Life Coach based in Ottawa, Ontario, Canada. Enthusiasm to love your life is contagious around Ichih Wang. She has been around the world 3 times and visited over 60 countries, lived on 3 continents and 4 cities as a search to connect and be a student of life. Her life travels and training experiences are infused in her yoga and life teachings, connecting people to their own abundant possibilities. She is known for her inspirational style of yoga teaching that incorporates both eastern spiritual philosophy and western techniques for mind (mental), body (physical) and spiritual life transformation. She is a long time Experienced Yoga Teacher (500E-RYT) with over 10,000 hours of teaching experience, in Ottawa and around the world, and has been practicing yoga over the last 12 years. Ichih Wang teaches and coaches yoga with raw yet compassionate honesty to help bring your yoga practice off the mat and into daily life. Ichih Wang lives her happiness and passion in such a big way that you can’t help but leave her yoga classes, yoga workshops, trainings and yoga retreats spiritually uplifted. 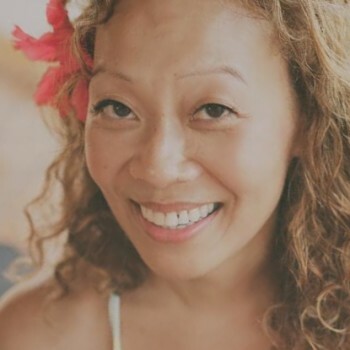 Ichih is so grateful to have studied and continues to associate with some of the greatest yoga teachers who have inspired her to teach, heal and inspire others along her journey. She is dedicated to giving back to the world by sharing the wonders of yoga with everyone she comes in contact with. “I am so grateful for all the teachers I have in my life. You’re all my teachers; my family, friends, students and coaches and mentors. I am in constant learning and in awe of how the beauty of yoga unfolds beyond the physical and into the w-holistic of life. Thank you for allowing me to enter your life and a glimpse into your souls. It is a privilege to be part of this journey with you. I am eternally grateful.” Connect with Ichih at Live Life Yoga.